The first and foremost step in project planning is the topographical and contour survey. Isn’t that applicable to designing the administrative architecture of a county gaining independence after centuries and centuries of alien rule? What do you think should have been the most crucial task of those who took over the reins of office in 1947 from the departing colonial rulers? In fact, nothing brings out more tellingly Nehru’s failure to shift gear of Indian polity from the colonial to independence mode than the way he unreservedly embraced the colonial bureaucracy that the British rulers had devised to rule and exploit India. Also, during his Prime Ministership, something more insidious happened. The very worst of our medieval past — the high-handed exercise of authority and utter lack of accountability – coalesced into the existing colonial administrative system bequeathed by the Raj. Nehru was – like Laxman’s common man – a helpless spectator of this sordid drama. The result is the legacy of a hopelessly outdated system of civil service that has been hijacked by self-seekers, ever ready to resort to the most devious means of governance. Ironically enough, during the heyday of independence movement, Nehru was a perceptive critic of the British administrative system. He was clear-eyed enough to see how obsolete it was to serve the needs of an independent India. In his Autobiography he noted: “... one thing I’m quite sure, that no new order can be built up in India as long as the spirit of the ICS pervades our administrative and our public services”. Remember our parents’ generation referring to the ICS as neither Indian nor civil nor service. The clichéd charge wasn’t without reasons. About half of the ICS class consisted of Englishmen. They were taught to be highhandedly aloof from those whom they were expected to rule over. They were never responsive to the needs of those whose destinies they presided over. Nehru was sure in his mind that after India becomes independent “the ICS and similar services must disappear completely, as such, before we can start real work on a new order”. 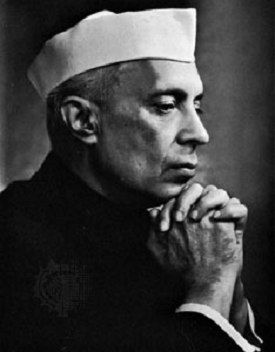 And when Nehru took over as Vice Chairman of the Viceroy’s Executive Council – his first stint at public administration – he was appalled at the ways the bureaucracy worked, how Government functionaries delayed decisions (if and when they took) and, above all, how there was unconscionable delay in their implementation. Why didn’t he have the courage to dismantle the administrative system that he was so deeply dissatisfied with? Perhaps there was the sobering influence of Patel immediately after Independence. Patel realized the importance of civil service to hold the country together in the midst of the administrative chaos created by the partition of India. And this work, as Home Minister of free India, he performed with remarkable efficiency. Personally, he established an excellent equation with the ICS officers who carried out his policies with remarkable speed and efficiency. It was Patel who built the nucleus of the Indian version of the ICS and IP by creating new cadres of Indian Administrative Service and the Indian Police Service. However, it is the Government of the day that fashions the system within which the civil service operates and carries out its policies. Left to themselves, the civil servants will love to act as mini-monarchs. It is for the political leadership to provide the necessary orientation to the system. Nehru might have had reservations about Patel’s perceptions of the need of administrative machinery inherited from the British. But after Patel’s death in December 1950, Nehru had a free hand to put in place a new system for a new social order if he so wanted and deeply believed in. Instead, he settled down to accept the system as it was. In July 1947 i.e., just before independence, as Head of the interim government, Nehru set up the Secretariat Reorganization Committee. This was followed, as is inevitable in the world of bureaucracy, by several more committees. (If the first committee makes some recommendations, another committee must examine them and then yet another to re-examine till the situation changes enough to warrant the appointment of another committee to look at the problem afresh. The process goes on and on. That’s how bureaucrats establish their indispensability. If you don’t agree, read once again the print edition of Yes, Minister.). Nehru did something very unusual. He invited – of all the people in the world – Paul Appleby, an American expert in public administration to advise the Government of India how to tone up its administrative structure and its functioning. (Appleby was perhaps the only American V K Krishna Menon didn’t quarrel with.) A report was prepared and circulated and then forgotten about as happens to all such reports. Why did Nehru allow the bureaucracy of the day to defeat the Prime Minister’s plan at reorganization? Explanations are aplenty. The real reason, however, was Nehru’s proverbial lack of will. He thought a rhetorical outburst was good enough. Hard-headed action that’s bound to hurt some people was something alien to Nehru’s nature. The first and foremost ingredient of the bureaucratic system is the file culture. That was England’s greatest contribution to the stagnation of Indian society. Should, for instance, a fire break out, the most important thing to do is to open a file and immediately give it a name and number e. g. GOI: E&C: 1957-1958: Fires (i) Viii. (Incidentally, E&C stands for Emergencies & Catastrophes which are aplenty in our society. And the longer the name of the file, the more impressive it appears. Then initiate something that looks like “action”, keeping the doors of all possible alibis flung wide open. And, if any financial outlay is involved in the proposal so mooted, never fail to have financial concurrence before taking any action. Lest anyone should get awry, involve as many as possible to be hanged together, which will never happen. The great British file system – painstakingly built in India for over a century – is based on the cardinal principle of avoiding responsibility. For that, the British created a multi-layered bureaucracy so that one man’s work is done by at least ten. The additional jobs that the system created were with a view to recruiting those who will extend undiluted loyalty to the Raj and also keep an eye on each other’s work. This is the Government machinery that British bequeathed to us. The multi-layered bureaucracy they created was based on the deep distrust of the rulers. “Keep a watch on the devil” was the guiding philosophy. The invisible master puppeteers – always hidden from public gaze – excel in the art of pulling strings lest any puppet should deem itself too important to stay in one place. The bureaucratic system works through frequent transfers. The rationale is two-fold. Our imperial masters were against the idea of someone staying in a place for more than two years or so lest he should muster strength enough to be a threat to the Raj. Most particularly, the system was for army officers whose tenures were strictly monitored for security reasons. The same considerations weighed with the postings of civil servants. But how on earth a Joint Secretary in a Ministry in independent India is likely to hatch a plot to overthrow the Government of India and should, therefore, be continually shifted from one Ministry to another and from the Centre to the State and back and forth. In my working life, I have seen this policy work to the utter detriment of organizations. Take a General Manager of an Ordnance Factory. He is assigned to a unit for about two years. Why? Because the British system had it so! It takes a new incumbent a year or so to get a firm grasp of the situation, know who’s who and what’s what. When he really settles down it is time to get transferred out. What continuity of policy could you expect? Before the Government of India in its profound wisdom started appointing CEOs of PSU’s for an extended term, the heads of these units used to be appointed for a year or at the most two. Before they understood what was expected of them, it was time to start lobbying for an extension with the Joint Secretary of the concerned Ministry. Quiet often these extensions were granted for six months. What miraculous results would you expect of functionaries living on bureaucratic tenterhooks. And all this happens because of a distrustful system bequeathed to us. The one attribute of the system that merits industrial sociologists’ study is its impact on those who happen to stay on in these institutions, cynically watching the goings-on at the upper levels. Take a CEO’s Secretariat that has witnessed this melodrama unfold every couple of years. Coal India Limited could be an instructive case study. The monolith came into being in 1973. So far, it has had over a dozen chairmen. Every new incumbent promised to streamline the system. The proclamation, for those who had heard it several times earlier, had an air of deja vu. Each new incumbent had promised to change things but the status quo ante was never disturbed. The wise French have a phrase for the profound cynicism that the oft-repeated exercise generates. Plus ca change, plus c’est la meme chose. (The more things change – apparently – the more they remain the same). Another great achievement of the bureaucratic system has been to clone itself in the running of our public sector. As one PSU after another came into being in the 1950s and 1960s, the style of their functioning, it was assured, conformed strictly to bureaucratic procedures. The file culture was the first plant of the know-all civil servants who were deputed to run PSUs. No wonder most PSUs don’t operate at more than one-third of their potential. One of the most fascinating sights, that unfailingly catches your eye if ever you are in the chamber of the CEO of one of these undertakings, is a large-sized board – almost 6’x9’ – which has the engraved names of all the incumbents. It proudly records the meritorious services rendered by all those who were deputed to head the organization. From it you learn that Mr. X joined on, say, 14.01.1962 in the afternoon and handed over charge on 20.03.1963. What on God’s earth could he have achieved in the fourteen-month stint? And you discover he was from the ICS – the steel frame of the Government of India. If he could run the administration of a district, running a continuous process fertilizer plant was just child’s play for him. It doesn’t take you long to find out that the civil servants eyed the green pastures of the public sector merely to earn 20 per cent deputation allowance. I suggest a fascinating pastime for OD practitioners: visit the chamber of CEO of any of the public sector giants, copy out the names of the incumbents from inception till the day of your visit, note down also the dates of joining and handing over the charge, take an average of the tenure and then take an average of, say, fifty thus-derived averages. The sum thus derived would not be more than one year six months. And during these eighteen months, the incumbent was expected to contribute a strategic new vision. Most of the laws governing the functioning of our administrative system are hopelessly outdated. The Indian Penal Code was enacted in 1860 when criminals shuddered before committing a crime unlike today when criminals are in most cases certain that their political patrons would ensure that they are out of harm’s way. The Criminal Procedure Code which regulates the administration of criminal law is over a century old. (It was adopted in 1898). How anachronistic has it become in our day, needn’t even be commented upon. Perhaps the rules still stipulate that the constable sent to the scene of crime is entitled to ‘tonga allowance’ and he must reach there by the shortest route. It’s most baffling what prevented Nehru to have a thorough overhaul of a hopelessly outdated system after 1947, and have it replaced by another attuned to the development needs of the society he was keen to bring into being. His initial zeal to reform and the impatience with the established system exhausted themselves in due course. He settled down – and with him, the country – with hoary customs and weary habits. Nehru did in his later years cavil at “procedures inherited by us from the past”, but didn’t think it was his or his Government’s responsibility to change them to suit a different age and time. While lamenting this dismal failure of Nehru, we mustn’t overlook the fact the model of bureaucracy developed as per Max Weber’s prescriptions is indeed suited to orders where prominent social needs are stability, efficiency and, above all, continuity. What we needed in, and after, 1947 was the creation of a new order which, among other things, was required to discard most (if not all) of the accumulated baggage of the past. And when called upon to do so, we needed transformational leadership which knows where it stands, where it wants to reach and which route it must take to get there. These leadership traits weren’t Nehru’s. He was content to speak about a problem – even to forward for consideration his well-crafted written diagnosis – but didn’t have the nerve to see it through. Indeed, we needed stability immediately after the 1947 upheaval. Simultaneously, we needed change – almost immediately after things settled down and certainly after 1951. Management of change is, today, a well-studied area of administrative practice – as much at the corporate level as at the Government level. The tragedy of Nehru was that while his perceptions were sound, he failed to select suitable administrators to execute his plans and, above all, he lacked the will to persist till his plans were carried through. He did show impatience with the system but, regrettably, settled down in the role of a keeper of the past while he prided himself being thought a dreamer of the future. History will judge him as the betrayer of a cause that he had committed himself to by presiding over the system which he detested and which he knew couldn’t deliver. Bureaucracy, on its part, had reasons to be very happy with him. As Bertrand Russell said three quarters of a century ago, “The only alteration they (the bureaucrats) are likely to desire in the status quo is an increase of bureaucracy and the power of the bureaucrats”. This system – however harmful its long-term effect on the organization – suits the incumbents remarkably well. It absolves them almost completely of any accountability other than maintenance of status quo. So, over the years and decades we have travelled up and down from, and to, square one and will perhaps always remain struck there. Nehru saw it happen in his regime and after making inconsequential noises about it, reconciled to it with unabashed nonchalance. There it is to stay, perhaps, forever. But, at whose cost? We are reminded of the mighty “coercive power” of these demigods day in and day out when we apply for an electric connection or a completion certificate. Instead of taking steps towards a drastic revision of the system in order to give it a new orientation, and a culture of adaption to ever-changing realities, Nehru only helped cast it in stone, hopelessly out-of-date and permanently exploitative - the Indian Civil Dis-Service institution was perpetuated. The system of transfers of office of chairman you refer to, after what amounts to a couple of years tenure, has surely to do with keeping the position invigourated, and preventing the accustomation of a guaranteed tenure with all that implies. For the intelligent novice incumbent, knowledge of the job is acquired in a matter of days: to suggest it takes weeks or months is to give it a philosophical depth, which clearly as a practical enterprise it lacks. Indeed, how little is achieved in stream-lining the industry due to a short incumbency is surely the argument for making the change. In respect of Nehru's inertia in the face of implementing reforms he himself devised in theory, you continually ask the question why, as if genuinely baffled, when indeed you know the answer: that he was apprehensive of change in an elephantine Indian state that would be difficult to predict in its consequences, or indeed as liable to create confusion, the said elephant left to amble along with a change merely of mahout. When it comes to governance of a population, the ideals of reform, be it those of a Cromwell, the French Revolution, or of Communism, all tend to morph into the control of the many by the few, who use the same methods of awe to subjugate the populace they represent, and all in the name of stable government. So so true. .. . Agree with every word of it.